Shirley Small Edwards, 93, of Lincoln, died Thursday (Aug. 23, 2018) at her home surrounded by family. She was preceded in death by her husband, Robert Doughton Edwards (1925-1988). Shirley is survived by her children, Greer Edwards Broemel (David), Nashville, Tenn.; Margaret Small Edwards, Whitefish Bay, Wis.; John Roxborough Edwards (Sharon), Palos Heights; and Caroline Edwards Higgins (Mike), Lincoln; and her grandchildren, Andrew Edwards, Ashley Edwards, Emorie Broemel, Lacy Broemel and Christopher Berg. 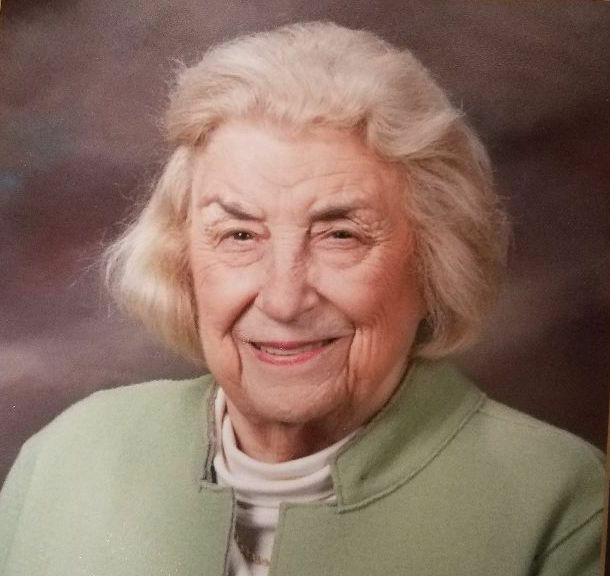 Shirley was active in her community and enjoyed her service as trustee of Lincoln College, board member of Abraham Lincoln Memorial Hospital Foundation, board member of the Logan County Cemetery District, and founding board member of Logan County Paramedics Association. She was an active member of Trinity Episcopal Church and as an avid reader, belonged to the Monday and Friday book clubs. She was a member of the Chapter JW, PEO. Shirley was born in Lincoln, and grew up in Topeka, Kan. She studied at Sweetbriar College in Virginia and graduated from the University of North Carolina Chapel Hill in 1946. She was married to Robert Edwards at the Presbyterian Church in Lincoln on Aug. 2, 1950, and they started their family in Asheville, N.C., before moving to Lincoln in 1957. The family would like to thank Kathy Aderman, who was devoted to our mother for many years. She made sure the house was welcoming to all. Thanks to Ed, Charlie and Richard Jacobs as well. We thank the caregivers who made it possible for our mother to stay in her home this past year, Marilyn Meiners, Mona Cosby, Meredith Lever, Judy Morris, Dortha Seely and Autumn Kopochius, and the staff from Safe Haven Hospice and Care Link. Her service will be at 10 a.m. Monday at Trinity Episcopal Church, 402 Pekin St., Lincoln, with the Rev. David Pfaff officiating. Visitation will be from 4 to 7 p.m. Sunday at Fricke-Calvert-Schrader Funeral Home, Lincoln. Burial at Old Union Cemetery will follow the service. Memorials may be made in Shirley's name to Lincoln College, Abraham Lincoln Memorial Hospital, Logan County Paramedics Association or Trinity Episcopal Church.